Regular Rate $3250 . Today Only $998! Grand Park Royal Cancun Caribe offers 311 luxury guest rooms & suites. Ocean views and plenty of beach front will delight our guests. The Grand Park Royal Cancun Caribe with a $20 milion dollar renovation has been re-imagined. 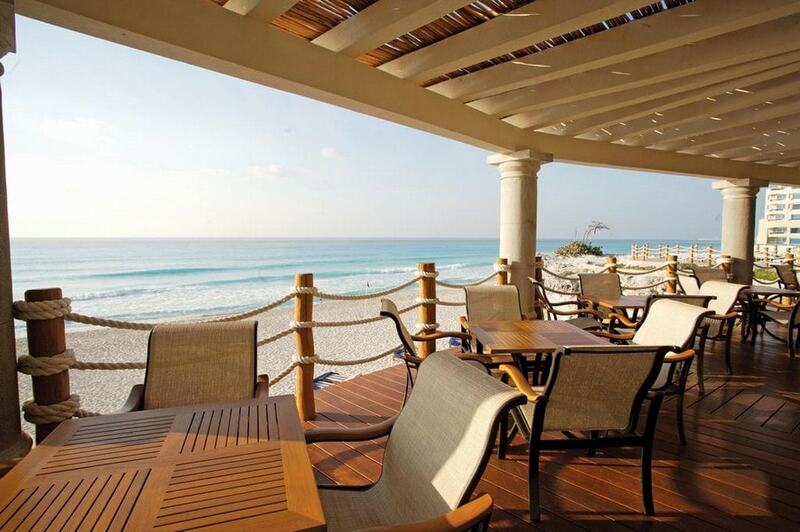 There is still simply no other value like it in the Cancun vacation market. Grand Park Royal Cancun Caribe offers four restaurants, a fully equipped fitness center, spa and yoga studio, two dreamy swimming pools, central access to the entire Cancun region and a beachfront that just won't quit, all combine to give you the Caribbean vacation of a lifetime. With 24-hour room service, an All-Inclusive plan that includes all day munchies, a loaded activities program, sail boats, snorkeling and live nightly entertainment, it may be more Cancun than you bargained for. Food was great--Hotel is lovely and very clean. We felt safe and well looked after. They did everything to make the guests happy. Special shout out to Carolina at the adult pool bar!! Leonardo's entertainment was so much fun! Beach was right outside our door at the Premiere Tower.. We will be back to this hotel! After what's sure to be an exhausting day, bed down in one of the resort's guest rooms, which come appointed with minibars, flat-screen TVs and Internet access (for a fee). All of their 311 luxury guest rooms & suites, stunning views and plenty of beach front, the Grand Park Royal Cancun Caribe has been thoroughly renovated and re-imagined. Room Features: Available with two double beds or one king (shown). Incredibly spacious at over 300 square feet, a private balcony overlooks the tropical gardens from the lower levels of the main hotel tower. Room Amenities: Coffee maker, alarm clock, cable TV, telephone, mini fridge and ironing facilities are included. The private bathroom comes with a shower, hair dryer, complimentary toiletries and vanity mirror. Maximum occupancy is 4 guests (2 adults/2 children or 3 adults). Paninis & pizza, expresso, ice cream and more. Room service available 24 hours a day. Daily activity programs include everything for adults and kids. There's beach and pool volleyball, live entertainment and bingo. Kids' beach & pool activities last all day with super heroes, crafts and games. Nightly entertainment in three restaurants. You can visit every area of the hotel and grounds and never miss the wallet locked safely in your room. The restaurants of Grand Park Royal Cancun offer different environments, flavors and recipes to enjoy a complete experience. Discover the options we have for your next vacation in Cancun and embark on a culinary journey with us. Your signature restaurant, the Cocay is elegant, casual, classy and loaded - for breakfast, lunch and dinner. Contemporary International and Mexican specialties are served from impeccable and generous buffets that warm hearts and whet appetites. Live dinnertime entertainment accompanies chefs' specialties cut from the butcher's block, and every meal guarantees a surprise, whether in a premium platter or in the care with which our legendary service is provided. Mediterranean to the nines, La Concha borders the main hotel swimming pool, and meals are served with a spectacular view of the sea. Meals are fresh, and special emphasis is placed on satisfying every appetite. A-la-carte specials are served fresh everyday, and the menu leans toward amazing seafood. With oven-baked pizzas, Mexican and International Specialties, there's always something for everyone. Dinner: Monday-Saturday, 7:00 pm - 11:00 pm. 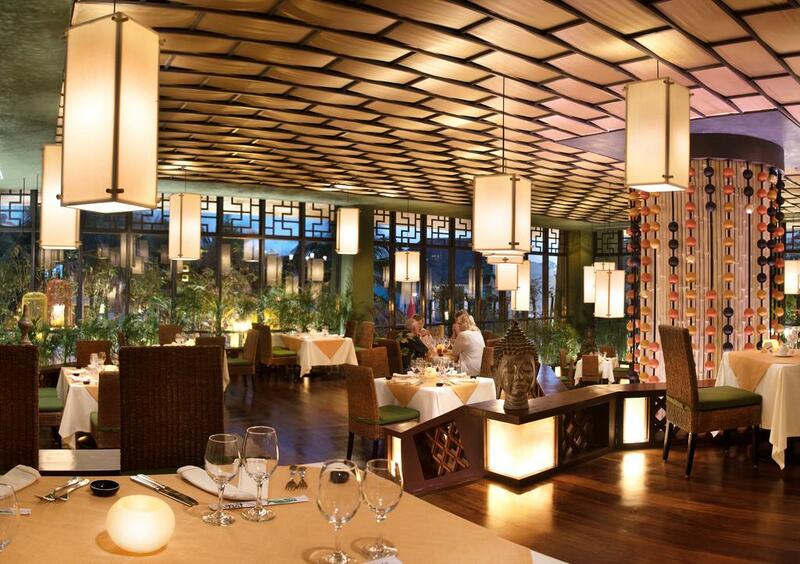 Just beyond the chic Lobby Bar, El Oriental serves the finest Asian cuisine beneath a vaulted cathedral ceiling in a tranquil, live bamboo-lined interior. Long on exotic style, a-la-carte nightly specials feature some of Cancun's best Asian cooking and live music ranges from the contemporary to the cool and classic. With glass walls and an outstanding view of the Nichupte Lagoon, El Mirador specializes in a-la-carte Italian specialties cooked to perfection and served with flair. Live entertainment and an ultra-tempting desserts buffet make it the highlight of any evening. Topped off with Italian espresso or another glass of wine, there is simply no finer toast to your dream vacation..
Rooftop, above the Mirador, there's something for everyone. With outstanding sunset views of the Nichupte Lagoon, it's a stylish retreat and a chance to live it up when the sun goes down. Hours: 6:00 p.m. - 1:00 a.m. Fete old friends and new, in the hotel's chic, Zen-inspired Lobby Bar. Bar Hours: 12:00 p.m. - 1:00 a.m.
Across from the main swimming pool, relax with your favorite cocktail, enjoy the sun and views that won't quit. Hours: 10:00 a.m. - 8:00 p.m.
Swim-up from the swimming pool, for all--day drinks and cheer. "JUST SPENT A WEEK AT Grand Park Royal Cancun Caribe. JUST WONDERFUL, A PARADISE." This was my 8th stay at this resort. I absolutely love the staff here. So many of them have become like family members and friends. I'll start with the entertainment staff, since they always make my vacation so enjoyable. Dario, Joaquin, Leonardo, Edwin, Alex, Nayeli, Gris, and Meme do such a great job both around the pool and at night. They try so hard to get people involved in the activities without being bothersome. The Michael Jackson show and comedy show are both very good. The other activities they put on at night are also entertaining. Jaime, the butler, is so friendly and helpful. I had a minor problem with ants in my room when I first arrived, and he had the room sprayed right away and it wasn't a problem after that. He also helped arrange to have my luggage picked up when I was leaving. He would always stop to say hi and see how I was doing whenever I ran into him. All of the bartenders, both at the activities pool and lobby bar, are hardworking and very friendly. They all remembered how I liked my drink made. Juan Carlos is the best waiter. Jovanna by the pool is wonderful. And so on... My room was in the building just before the villas and was gorgeous. Awesome ocean views and convenient to everything. We had a great time, the room was very clean. The food was great would have like more seafood daily and mexican tacos. The entertainment staff was great !!!!!!!!!!! lot of love for them Great Job. The staff was great. If you are looking for a real vacation this is the place. We went with friends and had the best time. Everyone is super friendly and great at remembering all of our names. Alejandro Torres and his Manager Candido had the best of the restaurants. They were extremely accommodating and took very good care of us. I highly recommend stopping to dine in their restaurant as the service and food was excellent. Other than being question about my outgoings and and insisting on a 90 minute meeting my experience was excellent, great location wonderful view, great food and entertainment. Love the souvenir store they have in the hotel. "A great hotel for any one"
We are a family of three, and we stayed in this hotel for five nights six days, the food is fantastic, also the service, super friendly, after check out we even get a voucher to continue eat and drink till four in the afternoon, we enjoyed our stay. "Another week in paradise --CANCUN"
This hotel is my favorite in the area and probably my fifth stay. Outstanding service in all the restaurants, Alejandro Torres and Luis Bastos in the Italian restaurant always went the extra mile for us. The entertainment staff went over the top to make sure everyone was happy and inclusive. Our room was newly remodeled, beautiful. Just returned from 10 great nights at this hotel.We stayed in a Deluxe Premier Beach Front room. It was clean big and had a great comfortable beds, with amazing views of the beach. Food was great, lots of choice at the buffet and we were easily able to pre book in the Italian and Mexican restaurants, which had good food and great service. The barmen at the Tower pool were amazing, so friendly and gave great service and made amazing cocktails,we preferred this pool as it was quieter than the main one. I really would have loved to have given a 5 as my score, but could not do so due to my disappointment of having a room with interconnecting door. When I travel this is my pet hate as you always incur noise from the next room. In this case we were woken up several times by the neighbours returning drunk, being sick and making noise. Not pleasant when you are asleep and this is 3 and 4 in the morning on more than one occasion, even the noise from he Tv and talking from the neighbours could be heard early evening. I went to reception to ask if all rooms had interconnecting door and the gentleman on reception said most rooms were. This is sadly a huge disappointment as I will definitely visit Cancun again, but will not stay again at this hotel due to the interconnecting rooms. Also anyone who goes must watch the Michael Jackson show, it was great, well done to the entertainment team. Great hotel especially to be with kids. Not much going on in the evenings though. Lorenzo the bartender made our vacation even better. We will truly miss him. He was kind, fun and knows what he is doing, even our kids loved him. Find him for your drinks! "Great destination for a family vacation!!" Can not thank all of the staff enough at the Grand Park Royal for a wonderful week in Cancun. The resort was large enough to offer many activities for our small children and adults. The staff was polite, offering superb service at every venue in the resort. A special thank you to "Oscar" at Royal Holiday for helping us whenever we had questions or special needs. Another thank you to the entertainment staff and those who operated the Kids Club. Those with small children would love this service! They have activities all day and then will watch your young children so you can experience the special adult only restaurants on the property in the evening. Food was great and the resort offered several options. Visitors will love the location and variety of room options available. A very positive experience!! The staff here at Royal Holiday made this the most enjoyable stay in the 15 plus years that we have been coming down to Mexico. The rooms, beds, and meals have been awesome with the views out our rooms of the beach and Caribbean sea second to none. We will bring family and friends here many times because of our great experience here. A big thank you to Mario and the rest of the staff here. We had the garden view room on the first floor of the main building. It was wonderful with close access to all parts of the resorts. Food was wonderful...lots of variety. Breakfast at Cocay and dinner at La Mirador (Italian) were our favorite. Beach and pool were always clean and pleasnt looking. Staff spoke English well and made a great effort to be helpful and serve. No complaints! The experience that I had was beyond AMAZING. The staff were extremely nice. Whatever accommodations I needed, they were eager to help. The pools were amazing. The massages were LOVE!! Special thank you to the bartender by the pool Lorenzo. He got to know us (and our drinks, lol) very well. He was the life of the party! LORENZO, YOU THE MAN!! I went to Cancun with my college best friend who I hadn't seen in 7 years. We had a PERFECT weekend and so much fun! We were very happy with this hotel. The room was big and very clean. At checkin we got a free upgrade to oceanfront with balcony. So nice! The bathroom was amazing...we loved the shower!! Food was good, there was always something available that we liked. Drinks were delicious and generously poured by friendly bartenders. Pools were very clean. Entertainment staff, games and shows were great! We especially want to recognize Joaquin, Dario , Leonardo, Edwin, Alex, Nayeli, Meme, Grisel, And Isabel! Their Michael Jackson tribute show was so impressive, and they were lots of fun with beach and poolside games. We would definitely recommend this place and would consider coming back! Our only 'complaint' was that the music at the upper pool was too low key, and no one seemed to have control to change it. Also, at the lower pool when games were over around 3p there was no music at all. Just a suggestion for improvement but otherwise a great place and a great stay!!! Can't wait to get back to Mexico!!! We came here for our honeymoon and it was a great introduction to the city of Cancun. It is pretty centrally located, not too far up the hotel zone, but not to far down. It is pretty much in the middle which means you have two shopping malls to choose from on either side. It is extremely safe and the staff is some of the best I have seen. I speak spanish and english but my wife only speaks english and the staff was always eager and ready to communicate with her and make her feel comfortable. 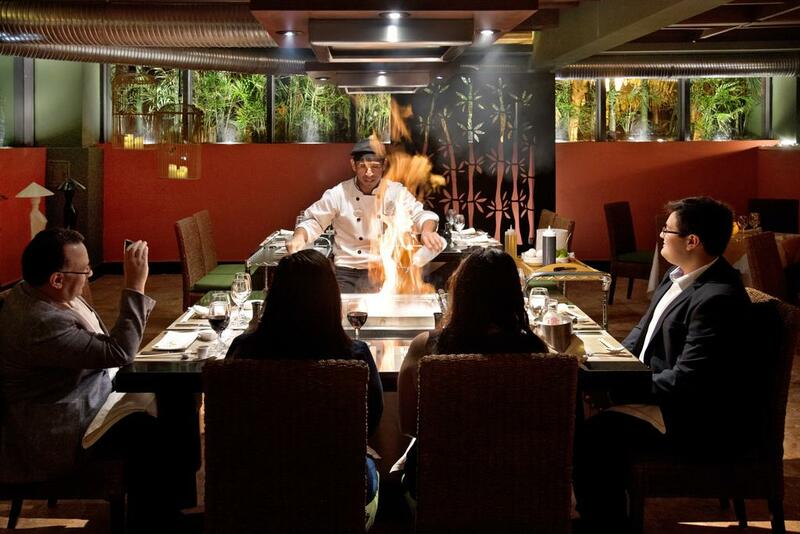 The food is pretty average if you are eating at the buffet, but the special reservation restaurants are great. Our favorite was the italian because we loved Hector as our server. He was extremely kind and always had a smile on his face. He was very attentive with our drinks and food and always gave us good tips on things to do in the city. Jose Luis, the manager, runs a great crew there and it can easily be a restaurant you would be $30+ to eat at. All in all we had so much fun here and we would definitely go back again. Yes it is a little average when it comes to the resort experience, but if you are going to visit Cancun its is a great place and a great price! If you want to spend $3000+ for two people to sit around and bake in front of the pool than be my guest, but if you are just looking for a great place to stay and have some fun when the sun goes down then come here! Our first trip to Mexico. Hotel cleanliness -there was permenantly people cleaning everywhere !!! Spotless. Food- plenty of it. Regularly changed and re stocked..we took full advantage of the all inclusive. The oriental was closed for re furb. Italian - men must wear long trousers. Steakhouse-it costs extra per person (we didn't go as I am vegetarian and I didn't see the point in paying it ) There is a coffee machine in the room but no tea- we had room service every morning to rectify that. I had a 5 course breakfast every day.!! Cafe sol, fab ice cream and little cakes. We upgraded to the royal tower for 2 weeks.the room with ocean view 2206 was huge !! Jacuzzi bath,butler etc etc. Pools - we went to the one with the swim up bar.it was all good. They have bali beds round the tower pool and on the beach. It was or anniversary whilst on this trip. We received a special treat in our room (champagne.chocolate and a bed decoration) Staff - every sinlge staff member is so thoughtful and helpful. they simply could not do enough for us. This includes the entertainment staff who work all hours !! They are great. Things to do - coco bongo and chi chen itza . Both attractions well worth the money. R1 and R2 bus to market 28 (I wouldn't recommemd) (Walmart nearby is worth a visit for sweets and crisps etc ) . These buses will pull over wherever you want to get on/off. Walk left for 20 minutes as you turn out of the hotel and you get to a shopping complex with every shop you could want if you are missing shops. tips - book basic room and upgrade upon arrival and haggle. It's so worth it. Take dollars to tip the waiters and bar staff with. They don't need the insentive to be nice,they do it anyway but it is nice to show your appreciation. The Mexican food is terrible but everything else is top notch. The check took a while but we were given a better room than we had paid for due to renovations and the room was fantastic. It shows that the hotel is in its way of improving, but the high end rooms are beautiful. The room sevice and the staff deserve were polite and eager to make the experience as pleasant as possible regardless of status. I would recommend it to families or friends wanting to have fun. The hotel is very nice & clean. The staff are friendly from the snack bar to the restaurants. The concierge (Carolina) is very helpful during our stay. She directed us to the right places and arranged a birthday surprise for my husband. The staff was thorough, even the pool attendee cleaned excess water from the pool to make sure that nobody slips. The bar tender at the premier pool (where you can seat & drink at the pool) & the maids that clean our room were most friendly. I don't really drink but this bar tender made me a rainbow drink without an alcohol and it's soooo good! Cheers for that Sir! The Cocay restaurant has a variety of food and all are good (from Mexican, Spanish, etc.). The breakfast buffet was awesome. You had your choice of a variety breakfast treats including an omelet, cooked with ingredients you picked. All waiters in this resto are very nice especially Isidro. He helped me bring my food in our table. They have pool games for everybody, including children, during the day along with music They even had pool aerobics. The weather for us was gorgeous through our trip, even for the end of October. The night time lighting around the hotel and pools was very romantic. All are inclusive from food to drinks. Everything was completely professional and on point. The staff was amazing, couldn't ask for a better place to enjoy Cancun. Too many great people working here to name. Jaime our butler was a great, genuine good guy. Definitely coming back!!! Fantastic in every way. The staff were very helpful and attentive to our needs. They were very friendly and gave us confidence to purchase more time. It is right on the beach and quiet and peaceful. It has great all-inclusive food and drinks. We stayed from Nov 1st 2017 and have to leave tomorrow. It is so pity. We always stayed in Hotel or we did not need to go anywhere. It is so beautiful and nice to stay. Stuff is nice, food is nice, nice weather, gentle wide, nice day and night. Just relax and happy time. We thank to PUBLE for the good service. We want to keep Room 2003. Let me start off by saying this hotel is pretty amazing in an all inclusive resort. The food I found excellent with the option for reservations at Italian & Mexican restaurants or the buffet which allowed me to try exotic foods I had never even eaten. I definitely would go for this all inclusive rather than paying for meals as we did once before. The main point of my review is to compliment the entertainment staff. They did Karaoke the first night and had hundreds of songs to choose from and did an excellent job. The 2nd night they had their comedy review with the staff doing a mime skit along with audience members, lip synching of various artists that was the best and very funny. I can't say enough about how talented this group of people they have brought together from all over the world. They did a great job. They are having a magic show tonight and I can't wait to be impressed again. Of course all of this is included in the package at no extra cost. Keep up the great entertainment! "Recent trip to park royal cancun caribe sept 2017"
just back from a great experience in park royal cancun caribe so many wonderful people.especially enjoyed the Italian restaurant where Daniel Flores prepared such wonderful meals. The staff like people Oscar,Coistian,alegandro,Manuel,Jorge and erika all made me feel like i was at home. Other great people were Noel , alexandra and verula. These people bring service to a new level. The water is beautifully clear and just a great experience saving turtles.The workout room is great has hot and steam saunas. I will be back soon! Regular Rate $ 3250 . Today Only $998!